In an attempt to combat the presence of false news stories being spread in its platform, Google India has announced of giving a special training for journalists in the country. Announcing the initiative, Google India officials maintained that initially they would select 200 journalists across India, who would subsequently undergo training in fact checking camp. The camp would be conducted in English and six other Indian languages, while the certified trainers would then subsequently train more journalists in the country. 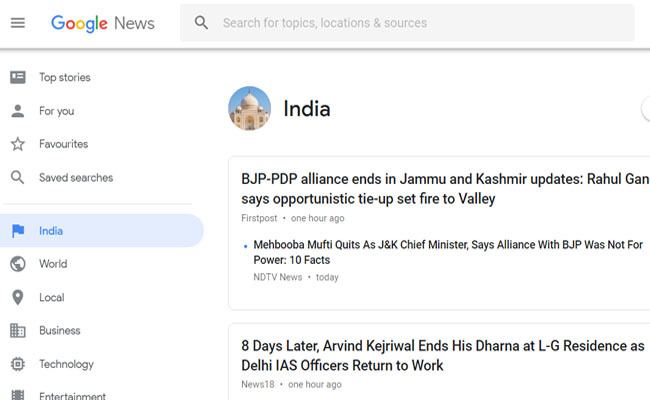 Sharing their plan, Google India added that over 8,000 Indian journalists would come under the purview of the camp, which is being conducted in the following Indian languages – Hindi, Tamil, Telugu, Bengali, Marathi and Kannada.